In May of 2006 I reviewed the $6500 Genesis Advanced Technologies G7.1c Signature Edition loudspeaker along with the companion ServoSub 4/8 subwoofer. So much did I enjoy having the G7.1c SE in house that to prolong their stay, I agreed to delay their review until such time that Genesis could deliver a pair of the standard version G7.1c ($4,350/pair) for a comparison. Saintly of me, huh? While I thoroughly enjoyed the Signature Edition as the superior speaker, the standard version was terrific and I had to conclude that it was the better value for those willing to compromise a little bit. I didn't hold that against the Signature Edition. Wringing the last iota of performance from a loudspeaker through upgraded construction and parts always comes at a disproportionately higher price. While in the midst of the Genesis G-928 subwoofer review a few months ago, the subject came up to pay a visit to the least expensive speaker in the line, the G7.1p (petite). It seemed like a good idea at the time. As it turns out, it was a great idea. 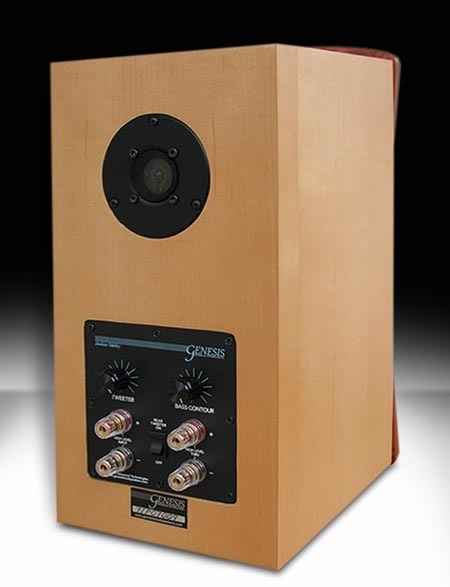 With the exception of bass performance, the smallest and least expensive Genesis speaker wasn't designed as a cheap entry-level speaker but rather, a true no-compromise Genesis optimized for small rooms. It measures 17 inches high by 8 inches wide and 12 inches deep and weighs 24 lbs. 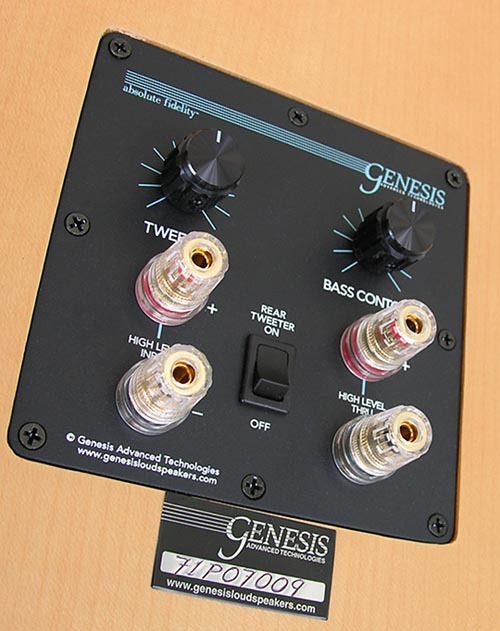 Genesis specifies a frequency response of 55Hz to 36 Hz +/- 3dB, a sensitivity of 86dB and a recommended minimum amplifier power of 45 watts (tube) and 60 watts (solid-state) and a maximum input of 150 and 250 watts respectively. Impedance is said to be 6 ohms nominal. Their proprietary 6-inch mid/woofer is what Genesis claims the first-ever solid Titanium cone that size. Titanium is extremely light and stiff to properly serve the midrange without break-up while simultaneously surviving the long excursions necessary for the bass frequencies. Like all Genesis monitors, the G7.1p utilizes two 1-inch circular ribbon tweeters, one each for the front and rear of the speaker. These ribbon tweeters are constructed of thin Kapton membranes with a photo-etched aluminum voice coil. The Kapton is a mere 0.0005-inch thick and said to be of less mass than the air in front of it. The tweeters are wired out of phase to, in theory, make the G7.1p a dipolar radiator throughout the treble range where the speaker radiates the signal front and back at the same time. But since the tweeters face in opposite directions, their wiring creates actual output in phase. tweeter's output is attenuated a bit relative to the front. How that affects the speakers' null I wasn't certain so I asked Gary Leonard Koh, president of Genesis Advanced Technologies. He told me that the speaker indeed was designed to offer a slightly smaller null and produce a larger, airier soundstage in small rooms. He then confirmed something I'd already noted - that the attenuated output from the rear tweeter also shaves off some general treble energy or power response as compared to the previously reviewed G7.1c, which had appreciably greater treble output than this G7.1p - a welcome change in my smaller room. Like all speakers from Genesis Advanced Technologies, output from the G7.1p is adjustable at the rear of the speaker. If the G7.1p is to be used less than 12 inches from the front wall, Genesis advises to turn off the rear tweeter via its rocker switch. You may also tweak the output of the front-firing tweeter with a rear-mounted potentiometer for a +/- 1dB adjustment. If that doesn't sound like much, it is. Lastly, there's the ability to adjust the bass contour of the G7.1p, also by rear-mounted pot. Clockwise rotation increases mid-bass output while slightly reducing ultimate extension. Counterclockwise rotation delays bass roll-off at the expense of some mid-bass amplitude. Genesis says the change in output is subtle (it may be) but use of the mid-bass contour comes at a cost. With the control fully clockwise for maximum mid-bass punch, impedance at 62Hz drops to 2.7 ohms. With the bass contour fully in the opposite position, the impedance at its 5.5-ohm minimum sits at 52Hz. goodly current into the aforementioned 2.7-ohm load. Genesis says this passive electrical circuit was created to achieve the effects of a port without the penalties of out-of-phase radiation from a port. Rather than a resonating air column within a port tube, they chose an electrical resonance circuit. While the impedance at the resonance frequency does indeed drop, the payoff is a lowered F3. Alas, there's no such thing as a free lunch particularly with small speakers. Once pushed too hard, the added woofer excursion can incur the danger of bottoming out the woofers. So keep in mind that the G7.1p was designed for small rooms. 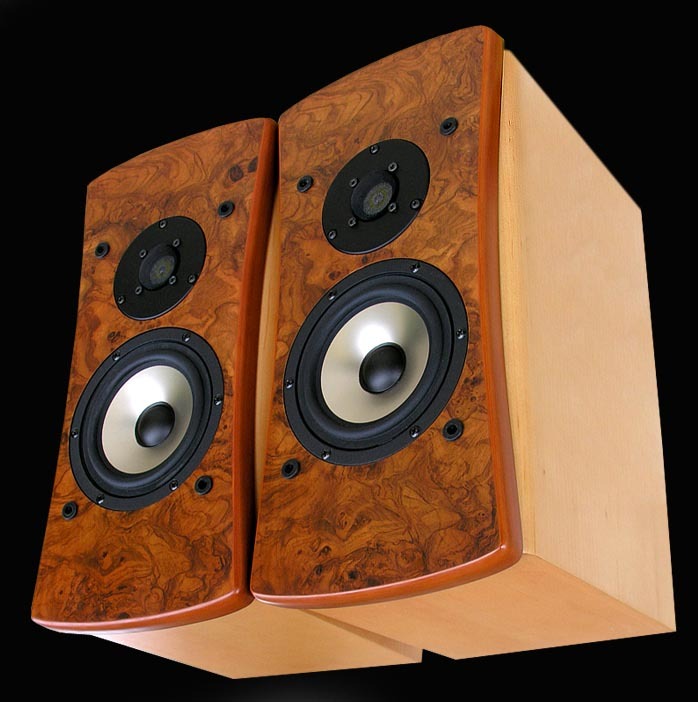 Don't expect to drop them into your large living room and get room-filling sound. For that you'll want a subwoofer. Inside, Genesis uses proprietary vacuum-baked OFC coil inductors (no plastic bobbins that can resonate) and a mixture of Genesis Caps (made by RelCaps), Erse Pulse X and Clarity caps. Each component in the crossover was evaluated with the same amount of extensive listening tests as was spent developing their more expensive loudspeakers. Even more time was spent on the G7.1p's crossover than the G5.3's because of this mix of caps. "With crossovers (and unfortunately many things in audio) there are things we can measure that we can't hear and there are things we can hear that we cannot (or don't yet know how to) measure." Particularly in light of the price class into which the G7.1p belongs, a word about aesthetics and fit 'n' finish are in order. The speakers are, in a word, beautiful. While available with 'shields' finished in either Rosewood or limited edition Olive Wood Burl with European Maple or Cherry cabinets, custom high-gloss automotive finishes are available for a slight premium. The ¾-inch shield -- the baffle to which the drivers are affixed -- is both massive and beautiful as it combines with the ¾-inch cabinet proper for a 1.5-inch thick surface and a solid wave launch plate. 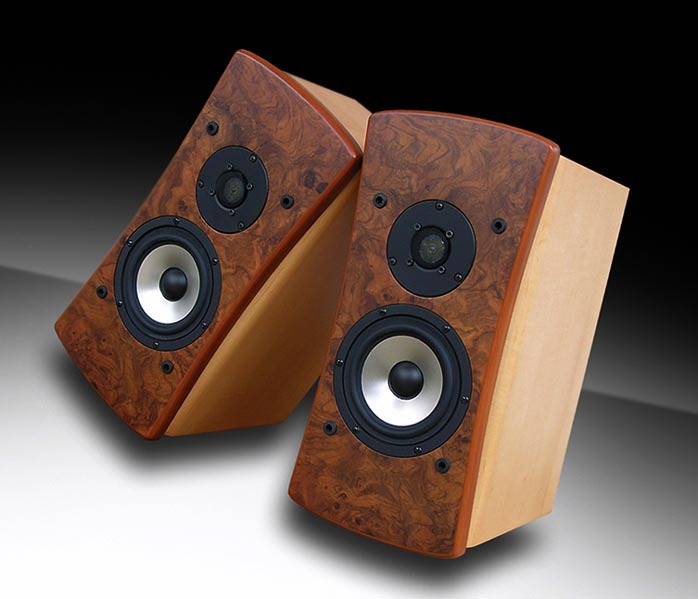 My review pair was finished to a beautiful satin luster and I've always loved the way the bottoms of the shields drop below the plates of the speaker stands for a singularly well-finished look. It appears as though the stand posts mate right with the bottom of the speaker. The low-mass grills are framed in formed steel covered with black grill cloth that is both more functional (of less mass) and better constructed than most in this class. Aesthetically, these are a lot of -- good-looking -- speaker for the money. If you opt for an automotive finish, what you get is a hand-rubbed piano lacquer over an automotive color or natural wood veneer (not reconstituted 'real wood' as often found in this price range). Then come sealer, buffing, a bass coat, primer, sanding, buffing, color coat, sanding, metallic coat, buffing, lacquer, polishing, lacquer, polishing, lacquer, polishing and more polishing. That seems like a lot of process for only $200 more.